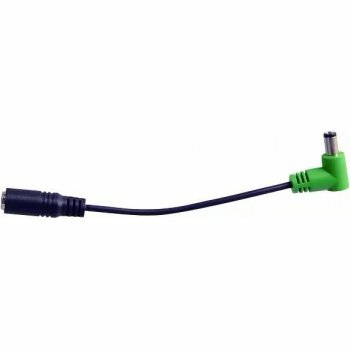 Diago PS03 Green Adaptor For use with the Diago Powerstation power supply. Use it to power Line 6 Stompbox Modelers (DL4, DM4, FM4 & MM4) Reverses polarity to a centre positive, 2.5mm barrel plug. Buy as many as you need, one for each pedal. Just plugs on to your existing Diago daisy chain cable.